What Do The Nook Product Managers Have To Do To Save Their Product? Now just to make sure that we start things off on the right foot, I need to come clean and let you know that I own a Nook. In fact, in my house there are three of them (the one that lights up at night is very popular here). I bought my Nook because it was not a Kindle (Amazon’s electronic book reader) and because at the time it was a bit cheaper. The problem that the Nook product managers are facing is that in the last Christmas buying period, sales of Nook’s and related accessories were down by 58% when compared to the previous year. Clearly this is not good. B&N had been planning on spinning their Nook and digital book sales off into a separate division. However, this dramatic drop in sales could really hurt their chances of being able to do this. Additionally, they really can’t sell the division off with those types of numbers because nobody would want to buy it. The product managers are going to have to solve this problem or else they’ll have to start updating their product manager resume. The reason that Nook sales were down is not quite clear. Other market analysts are saying that this is not really a Nook problem. During the past Christmas season, tablet sales were down across the board. There has been very little innovation in this area recently and so consumers just are not buying. This is true for the Nook also. It was last Christmas that they came out with their model that had backlighting that allowed you to read a book in a dark room. There was no similar big new feature this holiday season. What Do The Nook Product Managers Need To Do? If you were a Nook product manager, what would you do? Clearly sales are not where they need to be. You are going to have to do something right now or else the doors to opportunity are going to shut on your product once and for all. You have a number of standard tools at your disposal: drop your price, bundle the Nook with another popular product, or perhaps provide Nook buyers with free electronic book content. However, I’m thinking that the Nook product managers need to take a step back. What B&N needs to realize is that they really don’t have to make a lot of money off of the sales of the Nook. The goal is to get the Nook electronic book reader into the hands of people who will then shop online at the B&N electronic book store and purchase books – this is the real goal for the Nook. 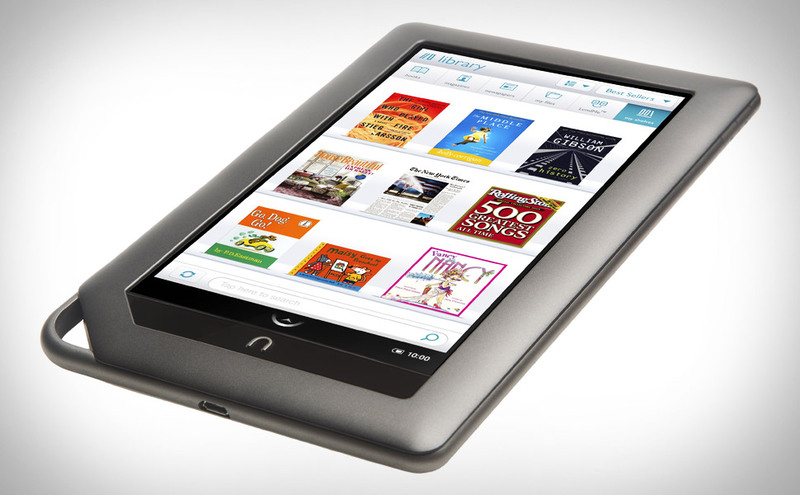 No, the product managers can’t just give the Nook away, but I’m willing to bet that they sure could drop their price. An electronic book reader without any books is of no use for anyone. What the B&N product managers need to do is to get people to 1) buy a Nook, and 2) purchase electronic books from B&N. In order to make this happen they should include some free books (perhaps 4) with the purchase of every Nook. What this will cause to happen will be that every person who buys a Nook will go to the B&N electronic store and download their free books. This will make it very easy for them to go back to start to buy books – they will already know how to get them. May all of your products sell well and be a success. However, if like the Nook product managers you find yourself in a situation where sales of your product are starting to decrease, then just like it probably says in your product manager job description, you’ll have to take action. What’s going to be important is that you take the right types of action. The Nook product managers are dealing with an overall decline in the tablet market. The sales of their product were down this past Christmas and they need to do something about it. Since B&N is really in the business of selling books, the product managers need to find a way to sell as many Nooks as possible no matter what the price in order to get more people to purchase electronic books from B&N. The good news is that the Nook probably can be saved. The electronic book reader market is large enough that there can be multiple successful products here. However, in order to prevent themselves from being left behind, they need to move quickly to get more Nooks into the hands of potential B&N customers. It’s time for an ebook reader post-holiday sale! Question For You: Do you think that the Nook product managers should partner with a non-B&N product to boost sales? Is The Best Way To Sell More Books By Giving Them Away For Free?